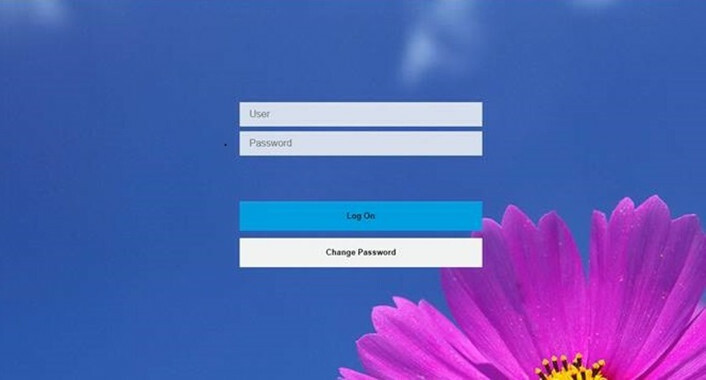 In some cases the customer needs a personalized login based on standard Fiori logon. 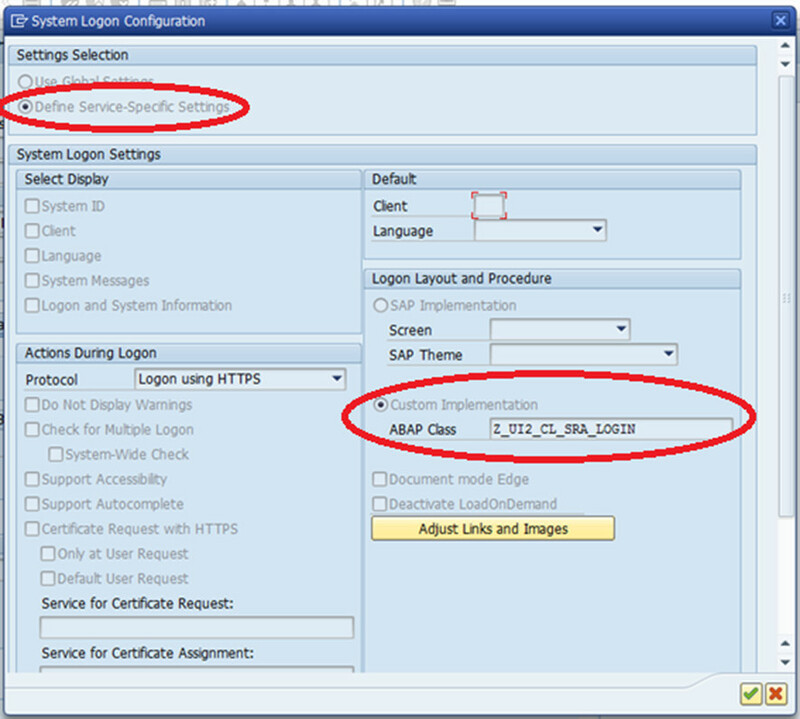 This tutorial shows how to customize the standard fiori login. This class contains all constants values to change images and some colors of Standard Fiori login. Note: this class contains the method INIT_DEFAULT_PROPERTIES with all logon values. Later on I will explain how this method works. Goes to transaction SICF and route: default_host > SAP > BC > UI5_UI5 > your_application. Enter into the service related with your application and goes to tab “Error Pages” and then click on “Configuration”. In the next screen you can add your new custom login class. Select option “Define Service-Specific Settings” then select option “Custom Implementation”. Then in the input field “ABAP Class” add your new class (generated in step 1). … So now, let’s got to personalize the logon page ;). Note: you can modify this files but then you lose the origianl logon files. So I recommend add a new folder in UI2 folder ( only need a left click ) and copy or add new files with your personalization. After add new files with your own personalization (you can use the original files login_background_xxx.jpg as template). It is time to modify the path of standard files and user your own files (so, we assume that we created a new folder in UI2 and we add new files in this folder). Goes to transaction SE24 and edit your custom login class. Goes to method INIT_DEFAULT_PROPERTIES. Sometimes is not enough to modify images. In these cases you can modify standard HTML login or css files. Thanks for the blog. I have made all the changes as per the blog, but my launchpad still seems to be picking up the properties from the original class and not my custom class. Anything that I am missing? Can you please provide pointer on how to Add a custom Page/template (Which has a field on it for the user to agree to certain things when he clicks login) . Like End user Agreement. In my opinion for this flow you must to create a new intermediate page in the same page of login because after send credentials de system redirect to launch page . Thanks and sorry for late reply As I was trying something which did not work. Can you please elaborate little more on this. 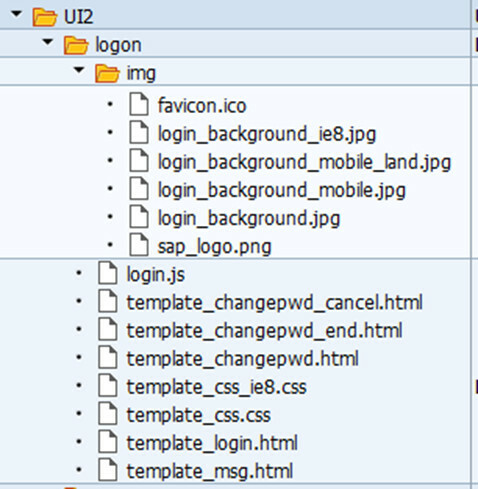 How to link the intermediate page in between the standard SAP Fiori Logon and Launch Pad?